PRC, the organizing committee of the BTCS series, announced some news and a final calendar on January 11. Two Zolder and four Spa races, with the 12 hours at Spa in June being the top event, make up the calendar. The potential entry looks very good, with around 10 silhouettes, some good GT entries and a surprise one from Renault Belgium. Reigning champions MI return with both the Jaguar X-Types, but probably a third car too. This will not be a Jaguar but probably a Korean make seen in ice racing… BMW will also be well represented. KS Motorsport again enters two M3 Silhouettes, one maybe an E94, while Marc Lupant and Pierre Piron both enter M3s. Audi, Peugeot and Opel will all have one car in the series as Audi Belgium, Patrick Paiez and Erik Qvick enter respectively an A4, 406 and Astra silhouette. The latter leaves the Belcar as noted earlier. The departure of the mighty Ultima is without doubt a loss for Belcar. Renault is another make to join the Belgian Touring Car series, with or and maybe two Renault Mégane Trophy cars. These ex- World Series Trophy cars will be prepared in endurance configuration in order to beat the real silhouettes and GTs. 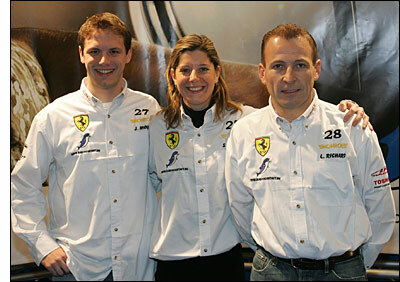 A good source confirmed the names of Vincent Vosse and Fred Bouvy as being the driver pair. Last but not least is the GT field. 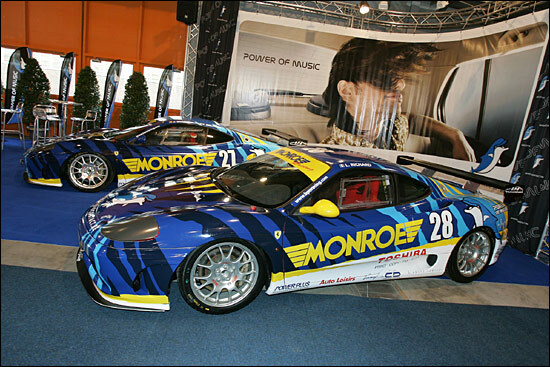 BPO-Monroe announced this week the arrival of two Ferrari 360 Modena Challenge cars. Jonathan Moury / Sylvie Delcour and Laurent Richard / TBA (photo) will run in the beautiful Italian machines (below). The new team of Rudi Penders will also enter two 996 Cup Porsches, as will several other entrants.